To the untrained eye, it could have been the first signal of the end of the world as nuclear war broke out. But instead of anything sinister, the giant mushroom cloud spotted in the skies over the Chinese capital last week was simply a brilliant showcase of the wonder of nature. 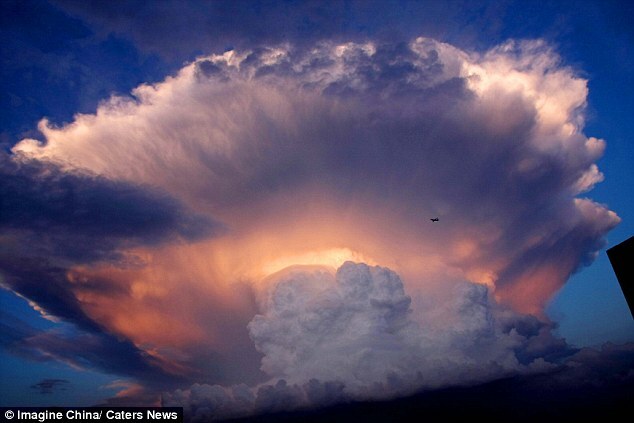 The huge cloud, which appeared on Thursday, gradually took the shape of an explosion from an atomic bomb.